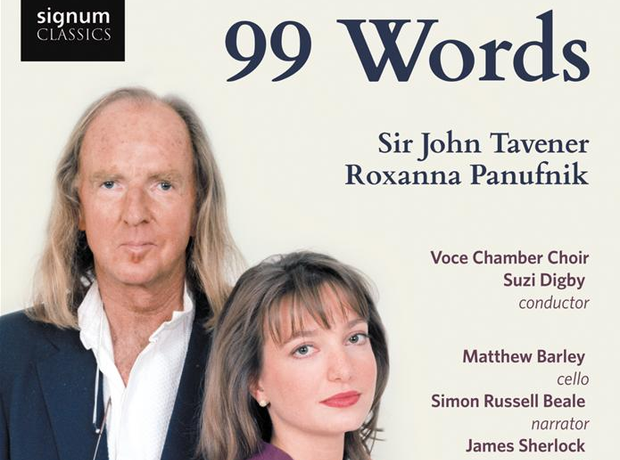 The text of '99 Words' is by the late composer John Tavener. Panufnik said: "As well as being a deeply inspiring mantra for how he wanted his children to live their lives, there seemed to be so many parallels with my own personal history. Like Theodora [Tavener's daughter], I had lost a composer father whose musical legacy is sometimes comforting but can also feel incredibly raw."